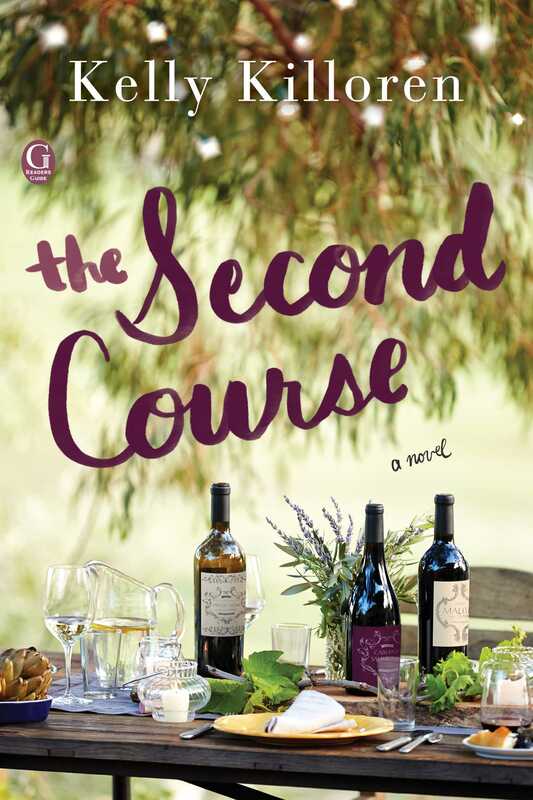 Set between the hip and idyllic farm-to-table foodie communities of the Hudson Valley, and the hotspots of Brooklyn, the Hamptons, and Manhattan, The Second Course follows four old friends struggling to find their footing in a rapidly changing world. Food has always been Billy’s language and her currency, but she isn’t hungry anymore—and it’s terrifying her. That is, until she attends a wedding and meets chef Ethan—an enigmatic powerhouse half her age. Billy is sure her life will never be the same, and she's right: she soon finds herself moving upstate to restart her culinary career with Ethan as her business partner—trading New York nightlife for hikes and foraging in the peaceful Hudson Valley. Back in the city, her three best friends, Lucy, Sarah, and Lotta each harbor secrets that threaten to tear their lives apart. Tensions are rising between the four women, and it will take one tragedy—and more than a few glasses of wine—for them to remember why they became friends in the first place. With the electrifying culinary prose of Stephanie Danler’s Sweetbitter and the heart of Elisabeth Egan’s A Window Opens, The Second Course is both a treat for the senses and an honest exploration of the shared conflicts, deep love and loyalty that bind a group of girlfriends together. This readers group guide for The Second Course includes an introduction, discussion questions, and ideas for enhancing your book club. The suggested questions are intended to help your reading group find new and interesting angles and topics for your discussion. We hope that these ideas will enrich your conversation and increase your enjoyment of the book. Billy Sitwell has found herself at loose ends. Sales of her vintage cocktail book have fizzled, and her landlord is raising the rent on her apartment. Worse still, she’s bored by the pretensions of city food. Financially stressed, she’s only too eager to accept a magnetic young chef’s casual invitation to dine at his restaurant in the Hudson Valley. Upon her return to Manhattan, Billy resolves to start her life over in a brand-new place, working with a different type of food. But will the prospect of leaving behind her dearest city friends—Lucy, Lotta, and Sarah—as well as her on-again/off-again love interest, Brett, prevent Billy from fully achieving her personal and professional goals? As Billy navigates uncertain culinary waters, she also must confront the family tragedy in her past that keeps her wary of settling into a profession or a committed relationship. Surrounded by foodies who carry secrets of their own, and without the emotional support of her best friend, Billy must face radical change and self-discovery head-on, with a chef’s knife firmly in hand. 1. How does Lotta Eklund’s newfound sobriety affect her long-standing friendship with Lucy, Billy, and Sarah? Why are her friends wary of her impending wedding to the famous music impresario Omari Scott? 2. “Food became my everything when I was six years old and my mother died” (p. 11). To what extent does the centrality of food in Billy Sitwell’s life determine her relationships, her career, and her choice of where to live? 3. Why does Billy seem unwilling to commit to a serious relationship with her long-suffering paramour, Brett? Why does his love for her seem to destabilize her? To what extent do you think their relationship has the potential to be successful in the long term? 4. “You know how sometimes you see a house and it instantly feels familiar, like the place has just been waiting for you to show up?” (p. 29). How does Billy’s visceral response to the River House in Kingston, New York, foreshadow her decision to stay there longer than a weekend? What aspects of the house seem especially appealing to the reformed Manhattanite? 5. After Billy gathers mushrooms with Ethan Rahimi, the chef of Huma, and he prepares her a mind-blowing chanterelle pasta, she finds herself besotted by him and his transcendent food. What keeps Billy from getting romantically involved with Ethan? What role does Brett play in her calculations? 6. Discuss the intense nature of Billy’s friendship with Lucy. In what ways do they function more as sisters or family than as friends? What aspects of their very different personalities keep causing friction in their relationship? 7. “You don’t get it. . . . Everything has always just been handed to you. Everything gets dumped into your lap because you look the way you do” (p. 90). Billy, Lucy, Lotta, and Sarah are all invested in (and succeeding at) aging well and keeping up appearances. When Billy lashes out at Lucy, does she do so because she is—on some level—deeply jealous of her best friend’s life? What are some other explanations for their epic argument? 8. Discuss Billy’s business pitch to Ethan. Why does she opt for simplicity in her sample meal? Why does her approach appeal to a chef like Ethan? 9. How does Sage Scott act as “the fly in the ointment” when it comes to Lotta’s marital happiness with Omari? What details about Sage’s life make her a more sympathetic character than she appears in Lotta’s accounts of her stepdaughter? 10. “The millennials are making merciless . . . fun of her” (p. 149). Throughout The Second Course, Billy is acutely attuned to the frustrations and humor of aging, particularly in her hilarious interactions with the twentysomething staff at Huma. Discuss some of the social and cultural differences between Billy’s fortysomething city friends and millennials Ethan, Kai, Marta, and Sage. 11. Why does Billy’s impromptu dance with Ethan during the post-work staff drink provoke Kai and Marta to such extreme emotional outbursts? To what extent did the revelation of their secret love triangle surprise you? 12. Why does Titus’s appearance at Billy’s door shake her to her core? What does Titus’s painting enable Billy to realize about her relationship with Lucy? What do you think prompts Titus’s decision to choose his wife and her best friend for his final painting? 13. “It was the sweetness of feeding someone who really tasted what you had made for them; it was the pleasure of knowing you had just changed someone’s day, even just a little bit, for the better” (p. 205). How does Billy’s sense of food’s significance evolve over the course of the novel? How is her discovery related to her serving as chef extraordinaire to all her friends at her house? 14. How do Lucy’s friends come to her aid in the aftermath of Titus’s suicide? Why do they repair to Kingston? What do Billy’s culinary attempts to coax Lucy to eat reveal about her character? 15. How does the opening of Café Wilhelmina in the East Village bring Billy and Lucy’s friendship full-circle? Why do you think the author chose to end the novel with that particularly joyous scene? 1. In The Second Course, Chef Ethan Rahimi describes a memory palate: “Everything we’ve ever eaten is tied to emotion and context” (p. 221). Ask members of your book group to share their memory palates and recall foods that bring them back to a certain place or time in their lives. How do those foods make them feel when they eat them now? 2. Billy Sitwell’s life is shot through with regret over the loss of her mother at an early age to suicide. So when Lucy Brockton’s husband, Titus, unexpectedly takes his life and turns his wife’s life upside down, Billy is in many respects the ideal companion to accompany Lucy through her grief. Even though the friends are estranged, Lucy reaches out to Billy for support. As a group, discuss the ways that tragedy can bring people together despite their differences. 3. In the novel, Billy comes to realize that her dislike for Manhattan’s haute cuisine is in some sense connected to her growing appreciation for lovingly made, simply prepared food. With your book group, discuss Billy’s conflicted feelings about leaving Manhattan for the bucolic Hudson Valley. How do her ever-changing opinions about food relate to her place of residence? Why might the opening of Café Wilhelmina in Manhattan’s East Village with Lucy as her silent partner represent the ideal outcome for Billy? 4. Billy, Lucy, Lotta, and Sarah undergo many significant changes, particularly with respect to their changing romantic relationships. With your book group, explore how marriage, death, separation, pregnancy, and childbirth define these characters’ lives. Ask members of your book group which character in the book most reminds them of themselves. Have them back up their opinions with evidence from the novel.